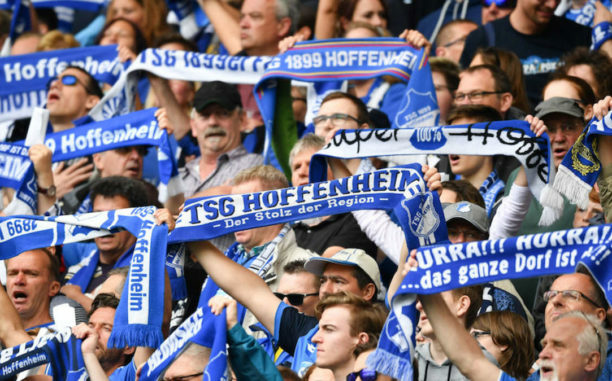 Hoffenheim have issued nationwide stadium bans to three fans for “extreme-right activities” ahead of a UEFA Champions League game last year, the Bundesliga club said Monday. The fans were banned for 12, 24 and 36 months respectively from stadiums across Germany in a decision reached by the Stadium Ban Committee. The committee consists of stadium ban representatives, fan coordinators and fan project staff. The three men were sanctioned for their behaviour on a bus to the match with French Ligue 1 side Olympique Lyon in September.